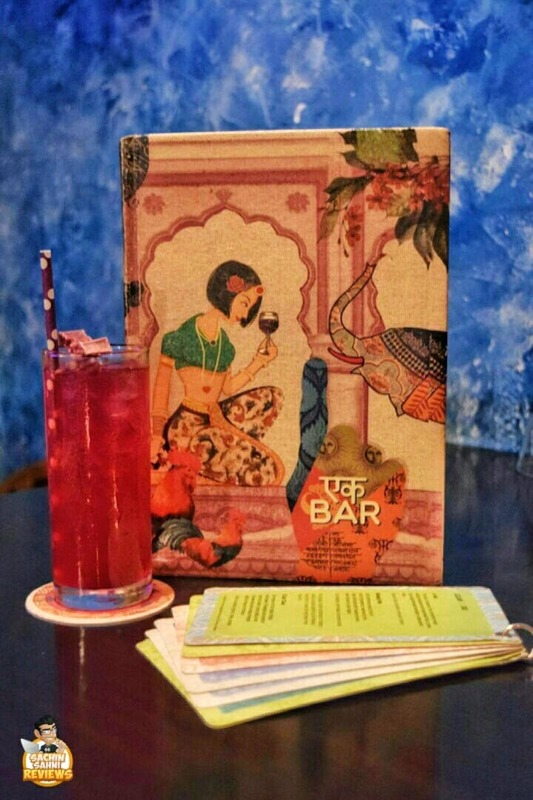 Just visited them a couple of days back and was stunned to see their amazing Indo-Western sorta interiors or I shall say that Ek Bar portrayed funky India or the idea of a fast-growing nation. The best thing here is their cocktails and they've everything available according to your taste buds. If you're in a mood for some whisky, rum, gin, vodka, wine etc. then you just need it and they'd ask them to make that alcohol as a base and then they'll do all the magic that's required to make sure that your day is good. I'd say that the food is definitely good but a little less of experimentation should've been done as some of the dishes were so much experimental that a normal crowd might feel gimmick while visiting this restaurant and enjoying eating. Always be a little outspoken when you visit here as you should definitely be mentally prepared on what's going to come on your plate and how it will look like actually. Be a little extrovert and speak to your server for an optimal experience and thank me later. Or else be ready for a surprise and a shock! Their cocktails are really good and they do play a lot with them when it comes down to the flavours. Do ask your server if you can speak to the bartender if you're finicky when it comes to your kind of a cocktail or else, go for the straight spirits as anyways they won't disappoint you. And if you're still shy or feeling a little awkward, need not worry as their food and alcohol menu has a detailed description of everything that is available. Date Night With Bae? This Defence Colony Bar Is Where You Need To Go!